A Magpies fan who claimed a debilitating neck injury suffered on a bus forced him away from his refuse collection job for two weeks has had his case rejected by Gateshead County Court. Seeking damages from Go North East, the father-of-two was a bus passenger returning home from a Newcastle United match when the vehicle he was travelling in reversed at walking pace into the windscreen of another bus behind it. Defended for Go North East by solicitors Ward Hadaway, the Judge rejected the case thanks to on-board CCTV, showing no movement of the man’s neck that could have caused any injury. In a separate action recently brought against the award-winning bus company, a young lady reported she hit her head on a seat in front when a Go North East driver was forced to brake sharply to avoid a cyclist that had pulled across its path. 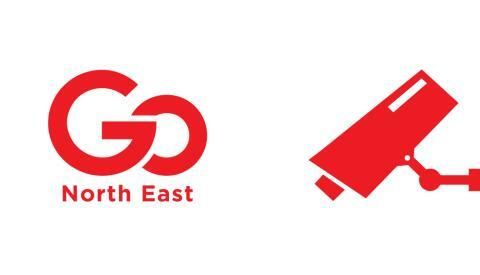 CCTV footage failed to corroborate her story and the case was withdrawn against Go North East shortly before trial. The two complaints are the most recent successfully defended by the region’s largest bus operator, where on-board technology has provided vital evidence to quash spurious allegations. Go North East managing director Kevin Carr said: “Our buses travel over 35 million miles every year and we’re extremely proud of our safety record. If an incident happens, our first priority is the safety of our customers. Ward Hadaway’s Chris Smith added: "Many passenger transport companies and other fleet operators have large insurance excesses meaning that the costs of improper claims come straight off their bottom line."